It's no coincidence that Spider putters have caught fire on the PGA TOUR. It certainly helps when the #1 and #2 players in the world have Spider in the bag, but to see this kind of widespread adoption and success early in the 2017 season, there must be other forces at play that are helping the best players in the world putt better than they ever have before. To dig a little deeper into why Spider putters are performing above the competition, we had a chat with the man who has been behind Spider putters from the very beginning—TaylorMade's Sr. Director of Product Creation - Putter & Wedge, Bill Price. Q: Why is Spider in such high demand on Tour right now? BP: Pure Roll and stability. It all began with Jason Day. The PGA TOUR has never seen numbers like he's had in Strokes Gained. So why is that? A lot of it is the player and a lot of it is the putter that he's using. 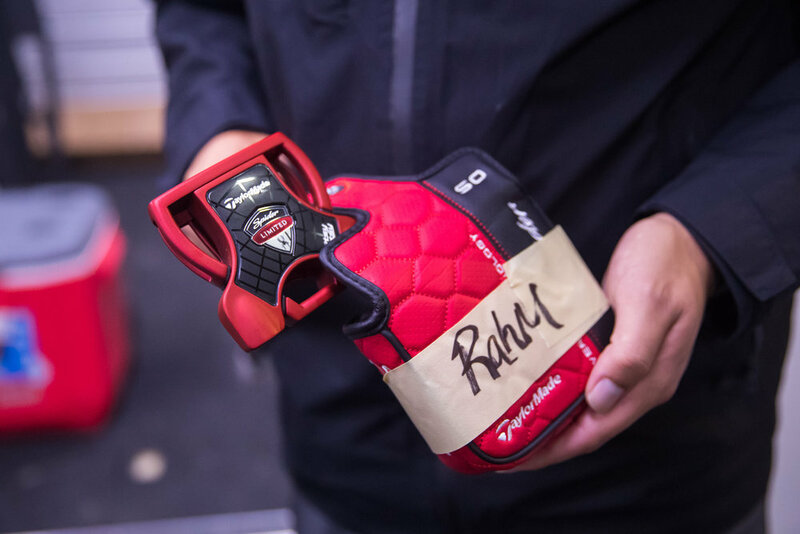 There's a performance story with the added stability and Pure Roll insert in Spider putters—and the Tour is seeing it on display with Jason Day, Dustin Johnson, Jon Rahm, and many others. Right now, it's all about the groove—it's the putter's insert, the angle of the grooves, and its ability to quickly get the ball into its pure roll. 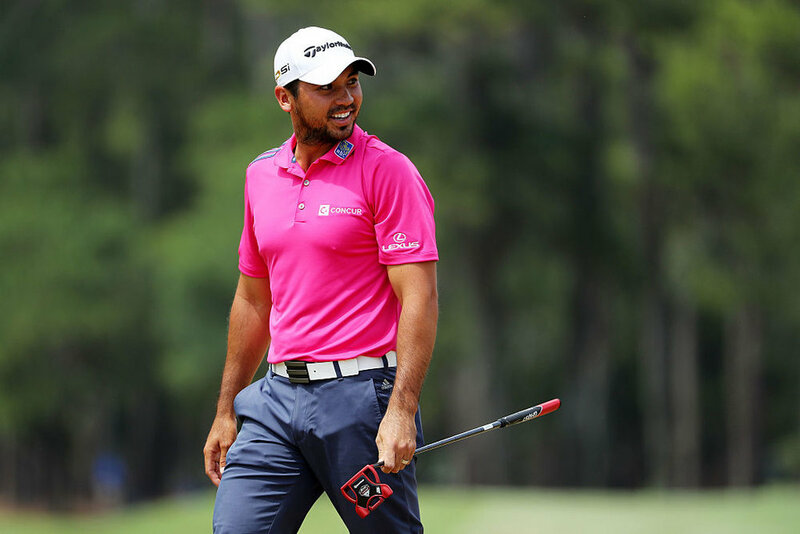 Q: When Jason Day first asked for a red putter in 2016, did you ever imagine the wide-reaching success it would have a year later? BP: The simple answer is: yes. Red was Jason's initial idea. Then, once he had the product in his hands, he loved the putter because it immediately improved performance. He liked the contrast that he saw with red and green—it allowed him to see his path a lot better. And because he believed so strongly in it, we knew it was only a matter of time before the rest of the golf world caught on. And based on the last few weeks, it is catching on rapidly. Q: So what exactly is the Pure Roll insert and how does it improve a putter's performance? BP: It all starts with the groove. Pure Roll inserts have 45° angles in the grooves that provide the angular momentum to put topspin on the ball. Pure Roll inserts add 25-50 RPMs of additional topspin, regardless of your skill level. Pure Roll gives golfers an immediate advantage right off the bat by delivering that additional topspin. Q: How does this insert with 45° grooves compare to other inserts in the marketplace? BP: Other brands have inserts, but their grooves are either straight or have various other angles—the key for us is that we have a patented groove that is proven to create additional topspin. If the grooves are straight, they don't do anything. If the grooves face upward, they create backspin, which is not what you want when you're putting. Pure Roll inserts create topspin, simple as that. If you look at a 40-foot putt, Jason Day gets the ball into its true roll after about 3 feet. If you're hitting the putt with backspin (like with most putters), you're not in true roll until about 11-12 feet. The ball will be bouncing around until it finds that true roll, making it more susceptible to any inconsistencies in the green that could take it off line. With Pure Roll inserts, you're essentially making a bumpy green smooth as a result of the topspin and forward momentum. That’s why Jason’s ball stays on path. That's why Jon Rahm made his winning eagle putt at Torrey. 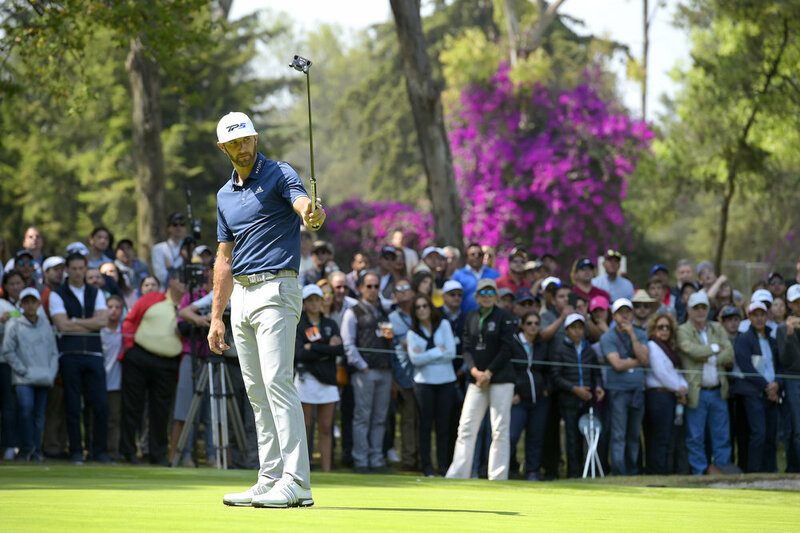 That’s why DJ has seen a jump in his putting performance and rose to World #1. It's the Pure Roll insert, that's getting these guys to drain 30-40 footers. Look, these guys are all good putters, but Pure Roll gives them the added performance to get on path quicker and stay on line longer than anything else. Q: Why should players who typically use a blade-style putter consider switching to Spider? BP: Stability and MOI. Spider has a CG that is three times greater than a blade putter. You're comparing CG that is about 11mm deep on a blade and 37mm deep on Spider, so not only is it lower, but it's also deeper, which further helps produce topspin. We all mis-hit putts—we have test data that shows the average player's strike dispersion on a 14-foot putt is in an area about the size of a quarter around the center of the face. At the end of the day, if you mis-hit your putt (even within that quarter-sized margin), a blade putter can be anywhere from 8-12 inches short of the hole. With Spider, the added stability and high MOI essentially create a larger sweetspot for you to strike the ball, allowing the ball to roll out to the hole, even on a typical mis-hit. Q: What’s next for Spider putters? BP: So far, we've really only had Spider putters out on the PGA TOUR. But with more and more players using Spider and winning with spider, I am getting more and more requests from other Tours that want access to Spider putters. The European Tour, Web.com Tour, Champions Tour, LPGA... they all want their hands on this putter. Every Tour is asking for 10-15 putters each week. We have already been the #1 model over the last four weeks on the PGA TOUR, and by the end of the year, we expect to be #1 on the PGA TOUR, #1 across the worldwide Tours, #1 in retail, and #1 in wins. 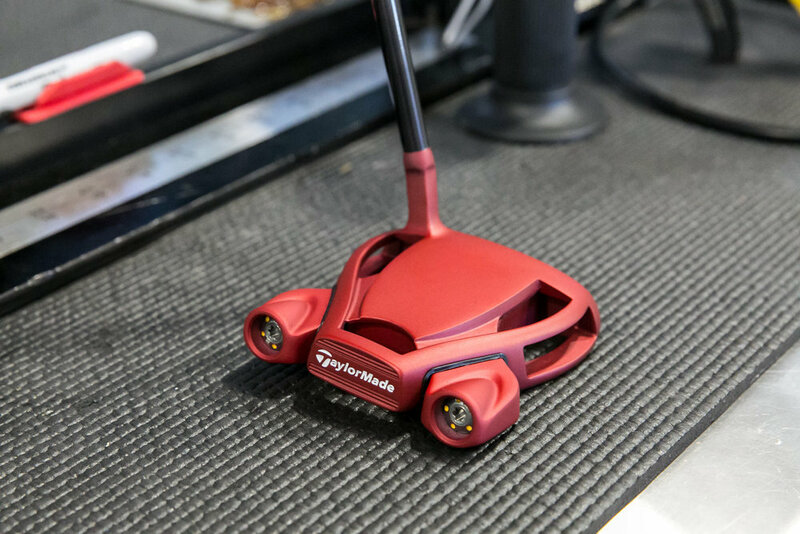 And with the putter model and insert technology already trending in our favor, Spider putters are in a great position to make a lasting impact. In the end, whether you’re a Tour player or a weekend golfer, Spider putters with Pure Roll inserts get the ball on line quicker and keep it on line longer, which helps you make more putts and improve your overall confidence on the green. The red one is fire! I'm really thinking about getting a spider for this season. @holmoscar I'm shocked the red has gotten so much traction (despite Jason being lights out with it last season). Overall the putter is a game changer but expected TOUR to favor black a good 4:1 and it's probably the opposite. I was fortunate enough to get one of the 20 putters released after Jason's PGA win in 2015. It is amazing how much buzz there was around this putter over the last year and a half. At every tournament I played, someone would come up to me on the practice green and ask to see "the Jason Day putter." Part of this was the rarity of it, but overall people really loved the look. I'm happy this has finally been released at retail, but I'm more excited for the Tour usage it's been seeing. That's simply validation for what some of us already know: if this putter fits your stroke, it's absolutely amazing. I, too, had expected black to be the overall color of choice, but will admit that the red is sharp. If I didn't love my black one so much, I'd have put red in the bag already.